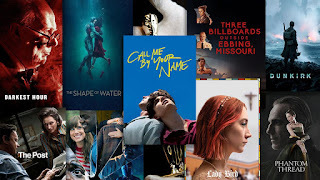 Let's talk OSCARS! 2017 was one of the finest years in cinema history. Here is my list BEST FILMS OF 2017 LIST. This is the OFFICIAL WORLDWIDE BEST OF FILM 2017 list. Better than any other list on the planet. No other list celebrates all of the films worthy of an award. Thank you. My work here is done. Enjoy the ACADEMY AWARDS this SUNDAY MARCH 4th. I will be hosting! Enjoy the show.